Prof. Guang-Zhong Yang talks about The Hamlyn Centre and their research focus on sensing, imaging and robotics and how they’re interested in developing technology that is safe and effective for all medical devices, whilst having a strong kinetical value, making technology accessible. He talks about the body sensor network and their pervasive use; starting from wearables up to implanted sensors; how they catch signs that help distinguish possible health issues or how they can implant sensors after surgeries in order to monitor the status of the area ie. inflammation, infections etc. and prevent further deterioration. He goes on to explain how their research in imaging, sensing and robotics is creating smart medical tools with sensors and how they’re all linked with the ultimate goal of minimal invasive surgery, intervening early and preventing problems before they become irreversible. 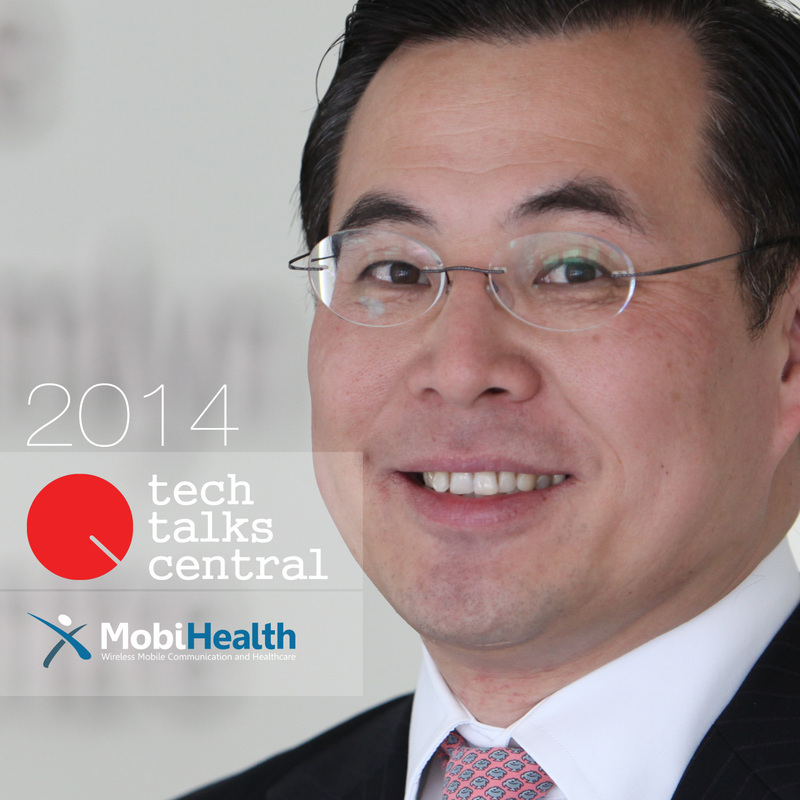 Dr. Yang adds his prediction for the future of predictive, personalised and participative health. Interviewed by Vicki Kolovou for Tech Talks Central. Professor Guang-Zhong Yang, PhD, FREng is Director and Co-founder of the Hamlyn Centre for Robotic Surgery, Deputy Chairman of the Institute of Global Health Innovation, Imperial College London, UK. Professor Yang also holds a number of key academic positions at Imperial – he is Director and Founder of the Royal Society/Wolfson Medical Image Computing Laboratory, co-founder of the Wolfson Surgical Technology Laboratory, Chairman of the Centre for Pervasive Sensing. Professor Yang’s main research interests are in medical imaging, sensing and robotics. In imaging, he is credited for a number of novel MR phase contrast velocity imaging and computational modelling techniques that have transformed in vivo blood flow quantification and visualization. These include the development of locally focused imaging combined with real-time navigator echoes for resolving respiratory motion for high-resolution coronary-angiography, as well as MR dynamic flow pressure mapping for which he received the ISMRM I. I Rabi Award. He pioneered the concept of perceptual docking for robotic control, which represents a paradigm shift of learning and knowledge acquisition of motor and perceptual/cognitive behaviour for robotics, as well as the field of Body Sensor Network (BSN) for providing personalized wireless monitoring platforms that are pervasive, intelligent, and context-aware. Professor Yang is a Distinguished Lecturer for IEEE Engineering in Medicine and Biology Society. He is a Fellow of the Royal Academy of Engineering, fellow of IEEE, IET, AIMBE, IAMBE, MICCAI, City of Guilds and a recipient of the Royal Society Research Merit Award and The Times Eureka ‘Top 100’ in British Science.